Thinking of buying a streaming media stick? Streaming media sticks are a very portable inexpensive way to turn any dumb TV into a smart TV. Media sticks are portable versions of a media player. They have many of the features that set-top media players do with fewer options and limited memory. Let's have a closer look with our roku streaming stick review vs roku streaming stick review. Streaming Sticks are ideal for students on the go or for a second portable streaming device to use in your home. Two major players on the market are the Amazon Fire Stick and the Roku Express + Stick. The old Amazon fire TV Stick has been replaced by Amazon's latest version the Amazon Fire Stick with Ultra HD. It now has 4K Ultra HD up to 60 fps, HDR, and Dolby Atmos audio. The new Amazon Stick also seamlessly works with any Alexa smart devices. If you want a smart device the Roku streaming media players only has voice commands and are not smart devices that can work with other smart products. If you are a spec guy below is a full chart. You can look at the specs but this article will focus more on the actual user experience by comparing side by side performance experience and usability. We set up two TVs side by side one with the Roku Stick and one with the Amazon Fire Stick. We went through different Apps and streaming providers and compared speed and user experience. At first startup, the Roku Stick launches faster than the Amazon Fire Stick. But it can lag occasionally with certain Apps loading. Cold start :Amazon Fire Stick launches faster and starts programs slightly faster than the Roku Stick. Cold start :Roku is faster, but overall once started up the Amazon Fire TV is slightly faster at launching programs and Apps. Cold start :The Roku is faster-running programs and Apps. Cold Start :Amazon Fire is faster and navigation with the built in amazon prime App makes the Amazon slightly faster than the Roku. Both android streaming devices come with a smart remote for ease of navigation. Both are very different in style. Whereas the Amazon Fire remote is sleek and modern with a heavy Apple influenced style reminiscent of the first iPods. The Roku is more colorful and playful. I believe they did this for the gaming Apps. So the remote would have a more Wii feel. The first impression is the Amazon remote has a better quality feel than the Roku. Voice command app needs to be downloaded for the Roku on your smartphone. The Amazon Fire stick comes preinstalled with voice command and a remote that has a built-in microphone. Note: the voice command on the Amazon﻿﻿ Fire Stick only works in the Amazon Prime environment. The Roku app works with most media services. But you will have to use your smartphone as a controller. Overall reviews and feedback is the Roku is a better remote with four quick-launch buttons for Netflix, Amazon, Blockbuster On Demand and M-Go and once voice command is loaded it works better than the Amazon Fire Stick. Both sticks support about every major streaming provider. See chart bellow for listing Omitted from Amazon Fire Stick is HBO GO. Roku has been in the business longer and supports just about everything. If there is not an official Roku support channel, chances are that an unofficial version is available and can be manually downloaded. From feedback and reviews, the Amazon Fire Stick works better for games than the Roku. In the last year, Amazon has increased their game library to more than 200. 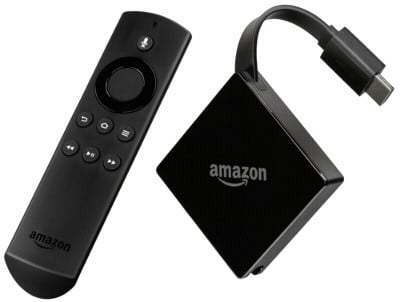 If you are a serious gamer Amazon Fire TV Gaming Edition offers a gaming version complete with game controller. The Roku Stick has an extra feature that the Amazon Fire Stick does not have. The Roku will remember where you where on another an App. Whereas the Fire TV Stick does a cold start and exits out of the App. The Roku navigates from one App to the next without having to reboot the App making the Roku better to navigate if you like to jump from one streaming provider to another. When using the Roku voice command App you can search through many Apps at once. One thing that the Amazon Fire TV stick has that is a big bonus is basically you are getting a fully functional Alexa Voice Control that can do much more then just surfing channels. The same full system as on a Amazon Echo that sells for around $100 dollars. Both media players support Apps like Netflix, YouTube, Amazon Videos, and Spotify. See Chart below . You can install Kodi on Firestick and almost any android app as well. This makes the Firestick much more useful than Roku. Also the Plex app works much better on Firestick than with the Roku. If you subscribe to Amazon Prime TV and live in the States than the Amazon Fire Stick would be a good choice. Being that it costs $10 less than the Roku and has more features and memory the Amazon Fire Stick would be your best choice. For Canadians, the Amazon Fire Stick is only available on the US Amazon site and will not deliver to Canada. Recently they have made the Amazon Fire TV Basic Edition available in Canada it is the only model that is now sold in Canada. Other purchases from Amazon.com can be done by signing up with a US mailbox site. This service would add additional fees to the product you order. 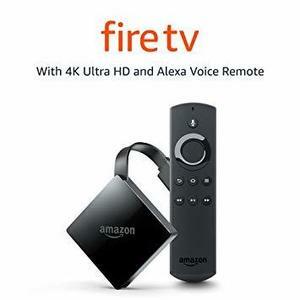 Here is a complete guide How to Buy Amazon Fire TV if you live in Canada if you are bound and determined to get Fire TV in Canada to make it worth it I would move up to the Amazon Fire TV . Click to see our review. Amazon Fire TV Basic Edition is now sold in Canada. See my review. Overall the two devices are pretty well equal in performance. If you are familiar with Roku and have Roku products now, a Roku stick would be a great second media device in your home. They can also be purchased in Canada, unlike the Amazon Fire TV. 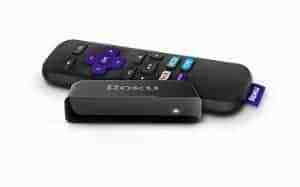 If speed is a major factor and you live in Canada the Roku Stick is your best choice. If you need internal storage to download files the Amazon Fire would be a better choice with 8 GB of storage versus 256MB on the Roku Stick. If you are an Amazon Prime subscriber and use it often then the Fire TV Stick will work better for you. Both models are ideal for a portable compact device for that second TV in your home. But if you need more features and memory then moving up to a set top box for a few dollars more may be a better choice as your main player in the house. If you like the idea of having voice commands to search for produces and other cool features like turning lights on and making grocery lists then the Amazon Fire TV with Alexa Voice Control is a great choice to start building your smart home. As of November 2017 the Amazon Fire TV Stick Basic Edition See my full review. has been made available in Canada and is set to be release in 100 countries world wide. Right now the Basic Edition is quite a bid cheap then the Roku but with no gaming or voice activation support. Amazon Fire TV Basic Edition is now available in Canada! The basic Edition Fire TV features a quad-core processor, built-in 802.11ac Wi-Fi, plugs directly into a TV via HDMI and comes with a tiny Fire TV Remote for navigation. The same specs as the newer version of Amazon Fire Stick but without voice control or gaming support. With the Fire TV Stick Basic Edition, you can access a number of Amazon apps over 4000 to choose from. 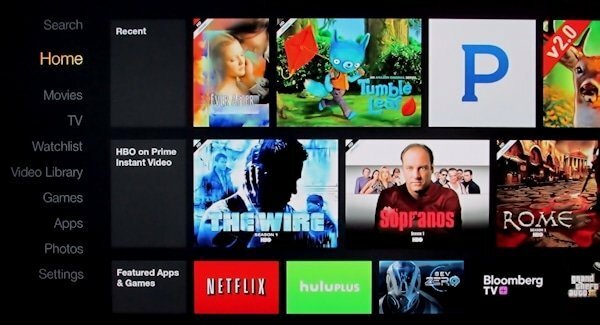 Netflix, YouTube, and Spotify are all available but the main push is for Amazon Prime Membership to get the most out of Amazon Fire TV. Priced at around $50 dollars it is in the price range of many competitors, same price as Roku Stick. Keep in mind you do need an Amazon Prime Membership to access Amazon's Prime video content to get the most out of this device. If you don’t like that idea I would suggest the Roku. Interesting enough Amazon prices are the some as in the US but with no exchange rate. Making them cheaper to buy in Canada. But I think this is an introductory price for a limited time. Amazon Fire TV Basic Edition is now available in Canada. Operate a number of devices in your home by simple talking to Alexa. ​W﻿hat Are The Benefits to Using Streaming Media?